I added the below image and caption to the Trombone History Timeline (17th century, 2nd half) and to the collections, Perching on the Pipes: Trombone & Organ Images and Angel Trombonists throughout History: 100 Images. I will soon be adding it to the Interactive Map of Trombone Iconography. 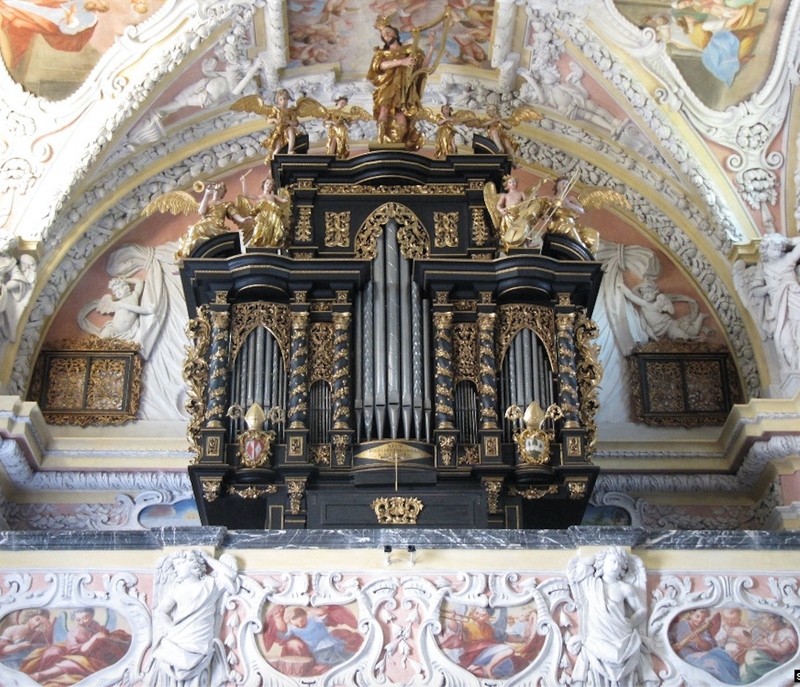 1680-1685—Frauenberg bei Admont, Austria: Wallfahrtskirche (Pilgrimage Church) installs an organ. Decorating the organ case are several angels with musical instruments, including a trombone. 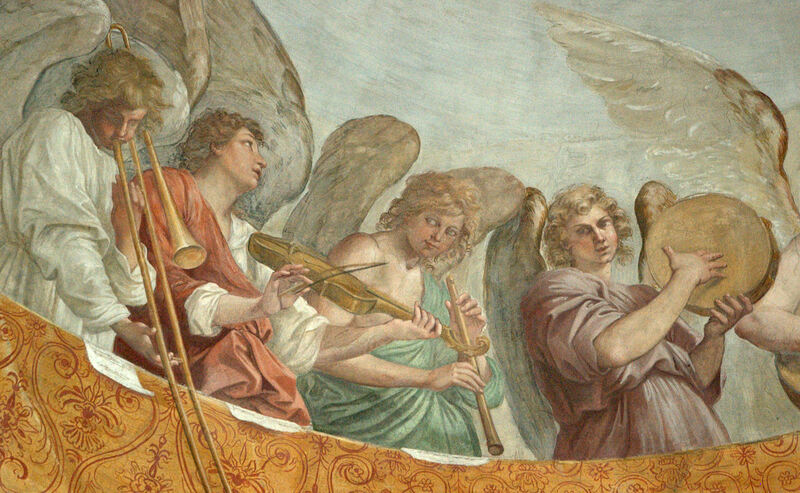 In addition, along the front of the organ loft are several panels featuring paintings of music-making angels, including one angel playing trombone (see below image; public domain) (Forer, Orgeln in Österreich 224).